Year after year, whitetail hunters will endure many trials and tribulations throughout the season. Highs and lows, misses and hits, busted hunts and successful hunts. While these are normal for a whitetail hunter to endure nothing compares to the one thing hunters deal with on a daily basis….the weather. Deer hunting in foul weather is not fun. High winds, rain, sleet, snow, and/or hail is all weather that deer hunter’s battle. You know it is coming this deer season, there is no way to avoid it, so the best thing you can do it plan for it by grabbing tree stand umbrellas. When the tree is swaying, the rain is sideways, and you’re getting cold, tree stand umbrellas could be your saving grace. If you are a deer hunter, you most likely dislike, potentially swear at the weather man quite often. Predicating the weather is hard and yes nearly impossible from the inaccuracies of weather channels and the news channels. As whitetail hunters it is good to be prepared as much as we can, and as much as we hate it, it means relying on the most accurate information you can get. Most deer hunters in this case turn to Weather Underground. 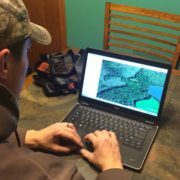 This can show a hunter everything he needs to know to plan and go hunting. This includes, temperatures, pressure, precipitation, wind speed, and most importantly wind direction. This allows hunters to not only look at the weather but plan hunts based off of patterns and opportunities like cold fronts. These can be noticed by a drop in temperature, rise in pressure which often give rise to deer activity and a harvest opportunity. These cold fronts are especially important to take advantage of during October. While these patterns are key to focus on, nothing is for certain and more times than not predictions are wrong especially when hunters are relying on them to be extremely accurate. So when the day comes that there is a cold front but you see a high chance of rain, the question isn’t if it’s going to rain, but is it worth deer hunting in that foul weather? Is Deer Hunting in Foul Weather Worth It? We can’t believe you just asked that question! When is deer hunting not worth it? To be fair, freezing temps, sleet, and a recipe for hypothermia might be a bad time to deer hunt. 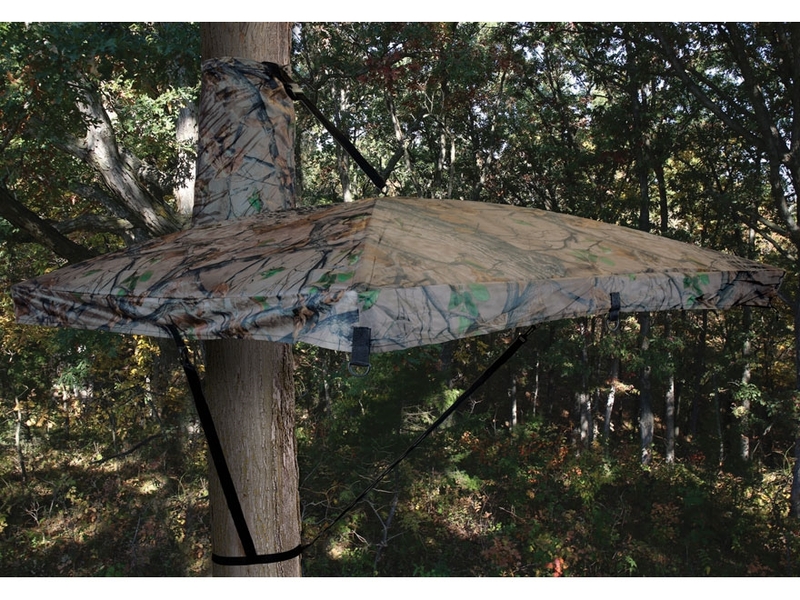 These problems can be solved with tree stand umbrellas, but is it even worth the trouble? Overall you will be dealing with 2 times of weather that you may not want to hunt in, rain and snow. Rain, and rain accompanied by high winds is by far the most unfavorable hunting to do. It can be extremely frustrating for opening weekend to have solid rain in the forecast. As much as you hate the forecast your inner hunter pushes you to go out. The real question is simply “is it worth it”? The answer depends. Hunters often misunderstand deer activity, mostly missing that deer are an awful lot like us in regards to weather and activity. Absolute downpours and thunderstorms will have both you and deer hunkered down. However, deer get spooky with high winds and rain, meaning at any moment deer could be busted from their bed and taken advantage of. Mostly deer will hunker down, but there are always possibilities when deer hunting in foul weather. Light rain and overcast/dreary weather conditions is an entirely different story. Deer hunting in foul weather like a soft light misting rain that can soak everything slowly, is actually a great time to hunt. The overcast and darker sky allows deer the comfort to stay out later in the morning and come out earlier in the evening. Deer hunting in foul weather such as rain, wind, and pure nastiness is one thing, deer hunting in snow is entirely different. For anyone that has ever experienced it, deer hunting in late winter during a snow event is one of the most relaxing/majestic sights you will lay your eyes on while whitetail hunting. There is just something about the dead quiet snowfall and beauty of it that makes you completely zone out. Snow is quite different than rain, especially heavy snowfall. With heavy snow, deer become more prone to visiting standing crops like corn and beans. Theses food sources are above the snow and are easy pickings. Food plots and food sources like late season standing beans or corn can set the stage for hunts that have some of the highest likelihood for seeing mature bucks during daylight and getting a chance to harvest them. It can be wonderful and can produce great results especially when hunting over the right areas, but only if you can keep the snow off of you and stay in the tree stand! So is deer hunting during foul weather conditions worth it? Absolutely, but only if you can stay out in the tree stand. For that you need special equipment and tree stand accessories, more specifically tree stand umbrellas. Many hunters might look at deer hunting with an umbrella as a risk as it adds more in the tree to potentially silhouette. While this might scare some deer hunters off, the facts stack in favor of having one of these handy. One, deer can and will be out even in foul weather conditions, in fact certain conditions make deer hunting more favorable. Finally the second fact is that staying dry while hunting during rain or snow will be a lot harder without a tree stand umbrella. It is inevitable, you will end up hunting during the rain or during the snow at some point each and every season. It’s up to you weather you will be prepared enough to stick around and reap the benefits of deer hunting in foul weather.